Aeration - JVJ Lawncare & Sprinkler Co. | JVJ Lawncare & Sprinkler Co.
Aeration is usually best during the months of April through May and September through October. Aeration prices start at $55. Call us at 303-805-3927 for a more accurate quote. 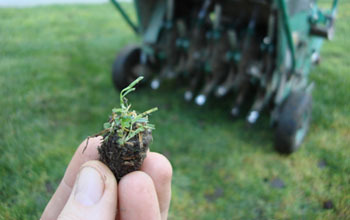 For more information on why you should aerate click here.